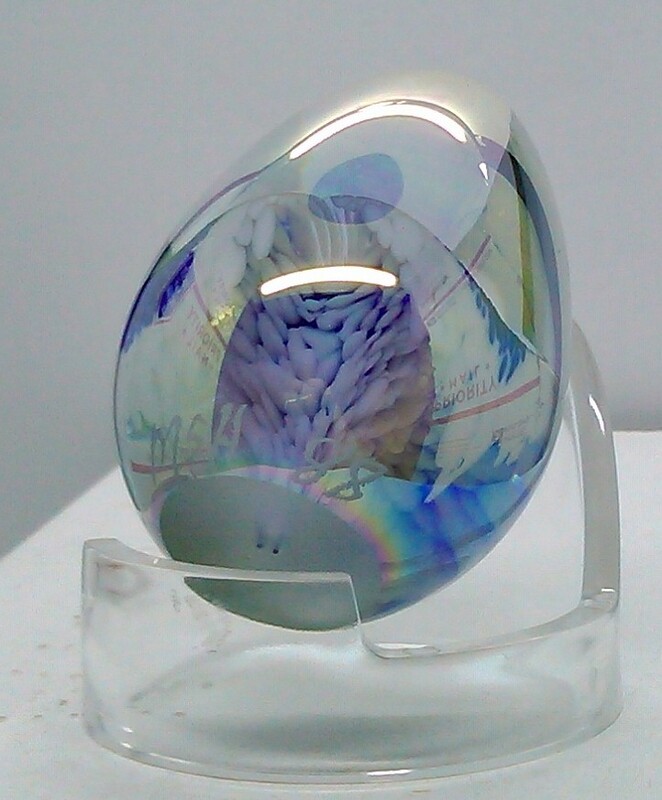 1988 Mount Saint Helen Studio paperweight. 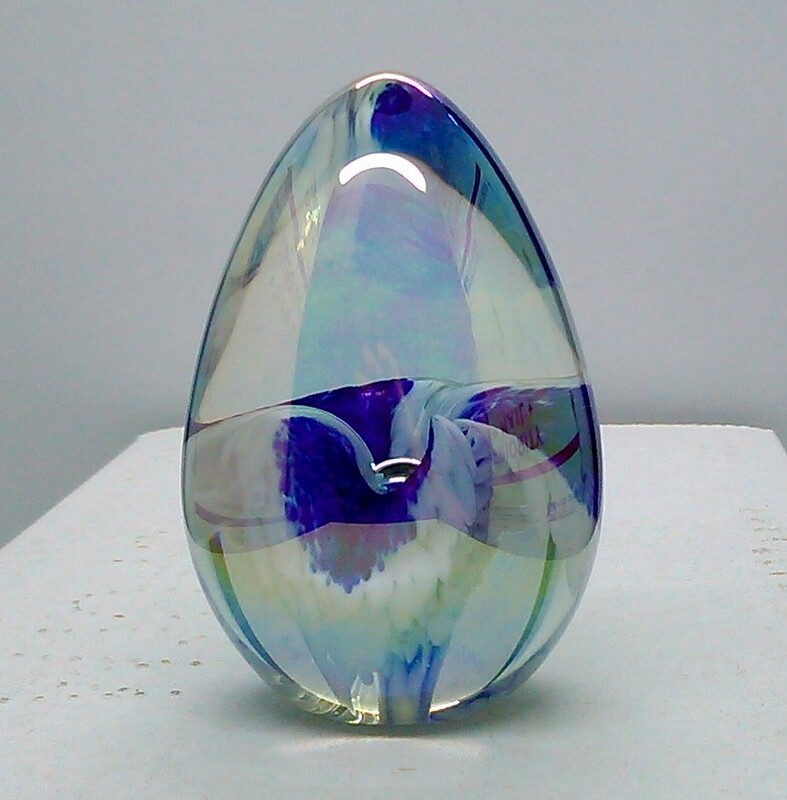 This is a fairly small paperweight measures 2.4 inches tall 1.5 inches wide. 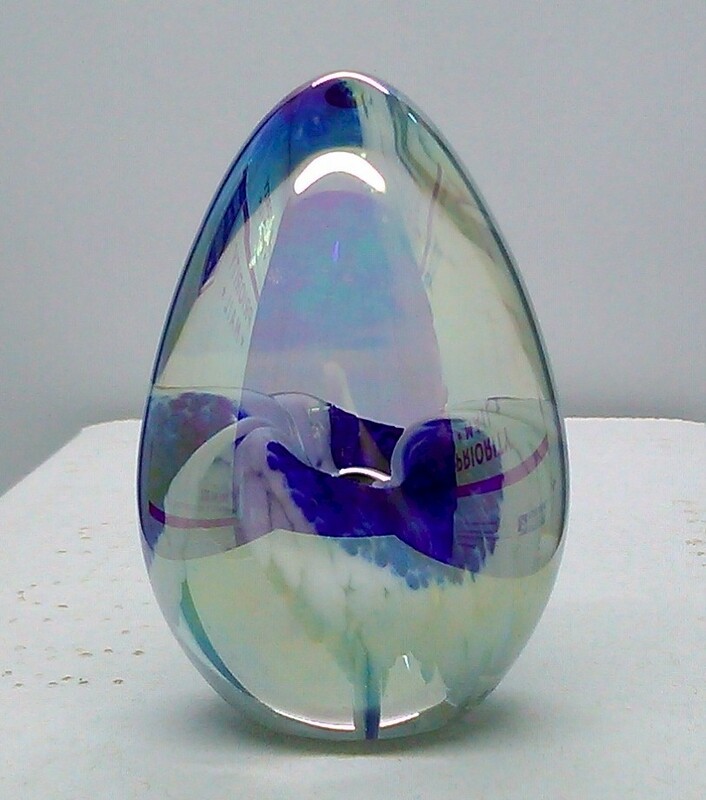 It has a blue 3 peddle flower with a bubble in the center. Some type of iridescent flash on the glass. Condition is excellent I do not see any dings or marks.